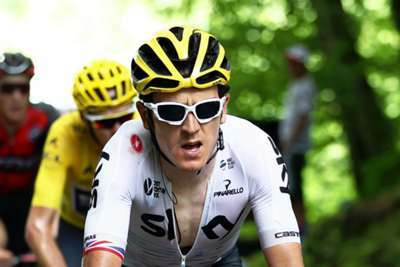 Tour de France champion Geraint Thomas will have Wales' national velodrome named in his honour, it has been announced. The arena in Newport will be renamed the Geraint Thomas National Velodrome of Wales in recognition of the Team Sky rider's success. Thomas has trained at the site since it opened in 2003 and was delighted by the latest tribute paid to him after becoming the first Welshman to win the Tour last month. He said in a statement: "It's a huge honour for me to have the Velodrome renamed after me - I can't quite believe it if I'm honest! "The velodrome has played a pivotal part in my cycling story and continues to play such a key role in inspiring the next generation of cyclists in south Wales. "It's a fantastic facility for riders of all ages and abilities to hone their talents. "I would personally like to thank everyone who has played a part in this and look forward to seeing everyone for the grand opening."